ITM Platform can be easily connected with external data analysis tools to produce project reports and graphs, as well as to automate the creation of custom dashboards. 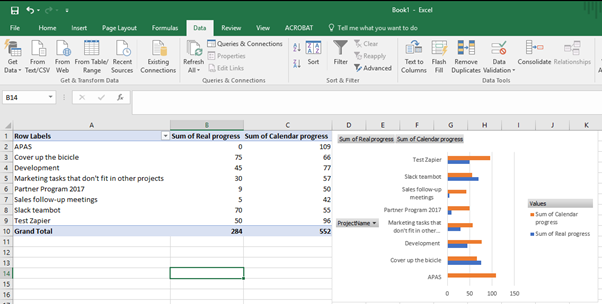 This guide will demonstrate the use of Microsoft Excel 2016, which includes Power Query, to generate such outputs. ITM Platform user with access to the information to be analyzed. In addition, because the connection to Excel uses the ITM Platform API, it is convenient to have some familiarity with its methods and functions. All documentation is available at http://developers.itmplatform.com/. Note: The steps described in this guide should only be performed once to configure the connection. From that point Excel will automatically update the data from ITM Platform. Objective: To compare the percentage completed versus the updated percentage completed to date reported. This is the method for obtaining the projects data for the complete list of projects. 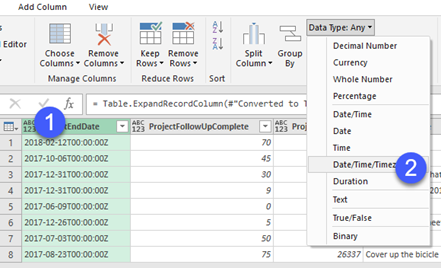 To access Power Query from Excel, simply indicate a data source. In this case, ITM Platform should be selected from the path From Other Sources> From Web. When accepting the source, Excel will provide the authentication data, which includes the authorization token. 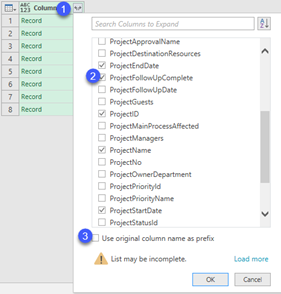 Then, from the Power Query Advanced Editor, in the Start menu, you can add the URL of the projects. 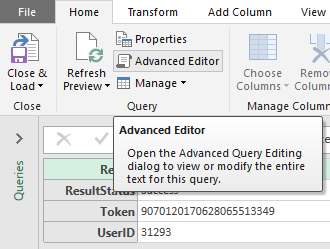 The advanced editor loads the Power Query interface and allows you to add code in the “M” or “Get & Transform” language. Although it is not necessary to know it, the basic keys will be given to be able to handle it successfully. This indicates that the call to the authentication URL is stored in the Source variable. 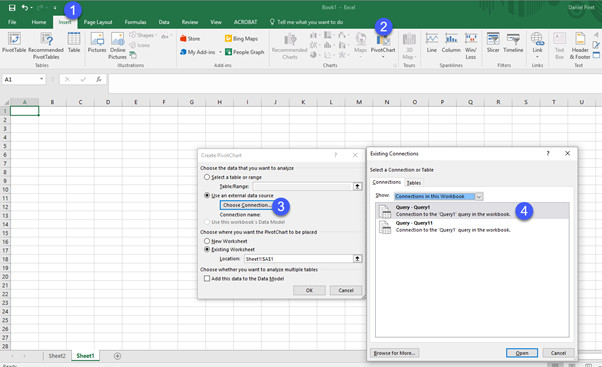 This is the essential element for Excel to be able to synchronize with ITM Platform and extract the data. The result of the query shows data that must be transformed into a table. You can activate this option by right clicking. The appropriate columns are then selected. As calculations are to be performed with the date formula, it is convenient to specify date field format. To do this, select each date field and the date / time / zone option. The result is a column in which the data we needed was calculated. 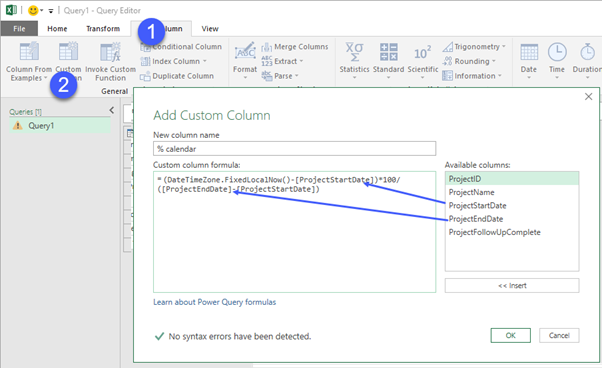 Once the query outputs the calculated data, you can save and close the Power Query file. 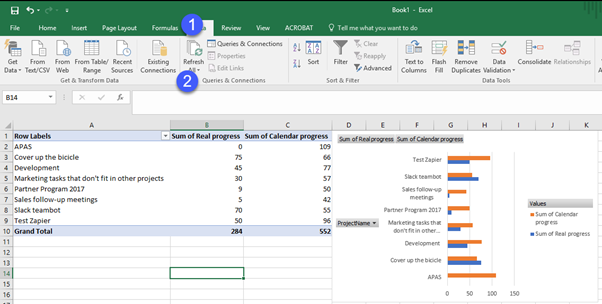 To visualize the result, Excel allows access to both the complete table of query data and graphics. 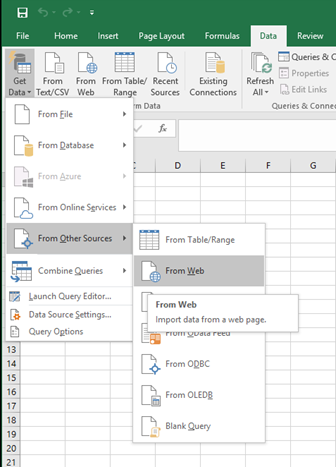 The example creates a PivotChart from the query, from the following menu options: Insert / Pivot Chart / Use an external data source. From there, the existing connections are loaded, which should show the previous query. 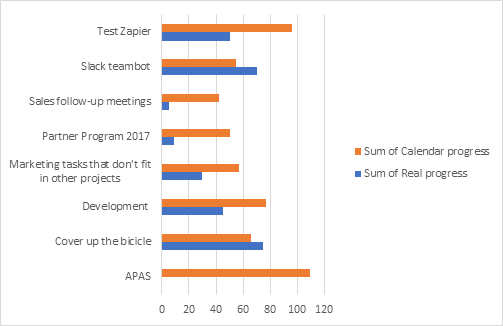 The result is a chart that compares actual progress with progress in the calendar. To access updated and real-time data, just click on Refresh from the Data menu.